Tilo Callenbach (left), managing director of Gsell, and Sam Anson discuss a fibre reinforced plastic part in front of the company’s new machining centre. RIWISA’s cleanrooms are housed in a building dedicated to precise and highly automated medical plastic manufacturing. Patrick Blessing is head of medical at KraussMaffei Group, the company which owns the Netstal brand of high precision, high speed injection moulding machines. Christof Plätzer is Phillips-Medisize’s director of sales and marketing for Europe. Christian Classen is director of sales and marketing at RIWISA. Netstal’s ELION 1750 with medical specification. Erich Trinkler is executive vice president at Cicor Electronic Solutions. Patrick Dümmler is the managing director of Medtech Switzerland. Sam Anson at one of RIWISA’s class cGMP cleanrooms. Wolfgang Czizegg of Waldorf Technik confirms the high productivity level of Swiss manufacturers of lab consumables through automation. The Swiss are experts in manufacturing—in understanding how things can be made, and made well. But they also know how to do this efficiently, automatically and in a way which is scalable and highly reproducible with precise dimensional accuracy. Following a tour of selected manufacturers in August, Sam Anson looks at the roots of these characteristics, examines recent acquisitions, and picks up some of the challenges the industry faces going forward. I arrived at Swiss medical injection moulding specialist RIWISA on the morning of August 28, 2013. Prior to visiting RIWISA I had heard rumours that the family-owned company was for sale. The rumours were confirmed that afternoon. The company was to be sold to USA-based Flextronics, a leading end-to-end supply chain solutions company that delivers design, engineering, manufacturing and logistics services to a range of industries and end markets with a specialism in electronics, metals and plastics. My visit to RIWISA was the first stop on a tour of six leading advanced technology companies, who provide manufacturing services and products for international producers of healthcare goods, including medical devices, diagnostic equipment and drug delivery products. The other manufacturers are Weidmann Plastics Technology (injection moulding and automated assembly), Phillips-Medisize (injection moulding, injection blow moulding and assembly), Cicor (electronics and injection moulding), Gsell (machined and injection moulded medical plastics) and Netstal, a Swiss manufacturer of high precision, high speed injection moulding machines with a strong position in medical and packaging markets, especially bottle preforms and caps and closures. And impressed I was. I can see why Flextronics want ownership of the company. RIWISA is located just 40 km (25 miles) from Zürich Airport. As much as half its sales are to the healthcare sector. Its main products in this realm, all injection moulded, are: disposable plastic products for in vitro diagnostic (IVD) test equipment and drug delivery devices like dry powder inhalers and double-syringe bone cement mixing injectors. The parts are manufactured and assembled in highly controlled and professionally organised class cGMP cleanrooms, including a temperature- and humidity-controlled, fully automated warehouse that is able to store moulded parts in cleanroom conditions while they are waiting to be assembled. In the 1990s RIWISA entered the healthcare market initially through a dry powder inhaler project and later followed by IVD disposables. “Big pharma” and medical technology drive medical plastics processing in the Zürich-Basel region in the north of the country. According to official industry statistics1, the five biggest medical device manufacturers by number of employees in the country are Johnson & Johnson—whose importance in the country grew significantly since the take over of Swiss orthopaedic device maker Synthes—Roche (Basel), Medtronic (near Lausanne), Sonova (Zürich), and Zimmer (Winterthur). Other selected relevant multinational healthcare manufacturers with operations in the country include Abbott Vascular, who produce the Fox angio-plast catheter, Actelion (Basel), B Braun (near Lucerne), Doetsch Grether (Basel), Ferring (west Switzerland), Galderma (Lausanne), Gerresheimer (Lucerne), Hamilton (Chur), Novartis (Basel), Nycomed (Zürich), Roche Diabetes (Basel), Stratec (Schaffhausen), Straumann (Basel), Synthes (half way between Basel and Berne), Tecan (Zürich) and Ypsomed (near Berne). Gsell works with a range of polymers, like PEEK, PPSU and PEI (including carbon fibre reinforced polymer—CFRP), and those for load bearing implants such as PE. The company has recently acquired an advanced automated machining centre from Swiss milling machine maker Fehlmann (see main image). It uses this to manufacture machined plastics for implantable and non-implantable medical applications. The machining centre is highly automated in terms of part handling and the tool exchanger. It enables Gsell to economically machine smaller lot sizes, which is a popular trend in the medical industry these days. The company also has in-house injection moulding expertise in carbon fibre reinforced PEEK blanks—which it then processes through machining into spine cages. Additional knowhow is an innovative catheter finishing procedure which uses thermoforming to create, for example, a flare at the end of a piece of plastic tubing. KraussMaffei is a brand of plastics processing machinery consisting of injection moulding, reaction processing and automation equipment. For me, advanced and highly efficient automation is, very clearly, a key winning capability for manufacturers here. It seems to come naturally to companies to set up automation systems. Indeed there are lines running for blood lancet devices which in the USA might have up to a dozen people working on them. In Switzerland these lines are fully automated in a highly innovative and, frankly, mesmerising way. The Netstal brand is known for offering machines which are fast, precise, reliable, user-friendly and cost-effective in terms of operation. The range includes the all-electric ELION (pictured). A well known automation company, Germany-based Waldorf Technik, is located directly on the Swiss border. At the manufacturing sites I visited, I noticed a significant number of machines from this company. According to company CEO Wolfgang Czizegg, his machines contribute to the success of Swiss manufacturers of medical consumables. “Being in this particular field of automation for more than 20 years allows us to deliver more than just reliable automation systems to our customers. The expertise of our employees, the focus on patient and product safety as well as dedicated services like FMEAs (failure mode effect analyses) and GAMP (good automated manufacturing practice) 5 qualifications are key for our customers,” Wolfgang explains. With many patented technologies, the company says it is the global leader in automation for products like lab consumables (pipette tips and reaction vessels), contact lenses and drug delivery devices. In countries where there are high labour costs (Switzerland being one of them), an important benefit of investing in automated technology is that it allows you to strip out labour costs. The cost of the investment can be spread out over the expected lifetime of the machinery in the profit and loss account as a depreciating asset. The cost of labour is not the only thing which is expensive in Switzerland. The Swiss Franc is currently regarded as being extremely strong, trading at a much higher rate than in recent years compared with the Euro and the US dollar, both of which have fallen in value since the credit crisis of 2007-08. Every single person I spoke to raised this as the number one challenge the Swiss medtech industry must overcome. One explanation for the high rate is that since the financial crash investors have deposited funds in Swiss bank accounts, seeing it as tax efficient safe haven for capital until international markets recover. Added to this, the Swiss economy has not suffered the same extremes as the likes of the UK, the USA and the Eurozone, which are only just beginning to recover. The exchange rate issue affects all export industries. Swiss exports have been relatively more expensive than products sourced from comparable Western countries for nearly five years now. Despite this overarching cost pressure, the industry is poised for growth. Patrick Dümmler states: “Our outlook is promising, at 6% a year the projected growth is substantially higher than expected GDP increases, albeit lower than the double digit rises we were enjoying ten years ago.” Employment in the sector is also growing at a steady 3%. The strong Franc has not put off global investors. On the contrary, many international players see smaller Swiss firms as prime takeover targets to help them acquire highly efficient and technologically advanced manufacturing techniques which have the potential for being “exported” overseas. There is a clear trend towards consolidation in the Swiss sector. As previously mentioned, the acquisition of RIWISA was announced the day I arrived in the country. Just two weeks earlier, St Jude announced it had bought defibrillator and pacemaker manufacturer Endosense for US$171 mn. In 2012 more than half of the ten biggest Swiss medical technology companies were foreign owned. In Europe, there has been consolidation recently too. Eucomed and the European Diagnostic Manufacturers Association have merged and a new umbrella association, MedTech Europe, has been formed. Switzerland’s education levels are a key strength. This is clear as a visitor to the country. The Swiss system has a strong emphasis on vocation and practical experience, even more so than in Germany. State schools are the norm and are of a very high standard. Everyone I spoke to on the streets are clearly highly intelligent and most spoke at least three or four languages. Unlike parts of Germany I have visited, where some workers in cafes and restaurants, and sometimes in hotels, speak very little English, every person I conversed with had excellent English—most with a fluent accent that sounded like it was their mother tongue. With a core specialism on electronics—in terms of printed circuit boards and customised electronic solutions—Cicor is a contract manufacturer with a global presence. The company also has knowhow in injection moulding, including 3D moulded interconnect devices (MIDs)—which are advanced injection laser activated moulded electronic circuits. Global outsourcing is a hugely important aspect of modern day manufacturing for healthcare markets. A key strategy of global OEMs is to have facilities fed by reliable supply chains which are close to their main markets (for example, USA, Europe, China and Brazil) and which are capable of delivering locally while finely tuning quality to the demands of buyers in these markets. Phillips-Medisize positions itself as a company which is at the forefront of this phenomenon. The company operates injection moulding, injection blow moulding and automated assembly operations in Switzerland and has seven plants in the USA and five in Europe—including a highly advanced automated production and assembly plant near Helsinki in Finland. It has recently acquired plants in Mexico and China. The most important markets for Switzerland’s medical technology are those in the EU, especially Germany, followed by the USA and China. But non-membership of the EU doesn’t appear to be a hinderance to success—ignoring the challenges presented by the high value of the Franc compared with the Euro and the US Dollar. “On the other hand, there is the issue of the soaring Swiss Franc, and some customs-related problems can cause delays in the flow of goods between Switzerland and the EU,” he adds. When looking at pricing structures, Patrick helpfully points out that companies must still assess each market on its individual merits, but this would be the same for all member states. There are three major industry associations in Switzerland—Fasmed, Medtech Switzerland and Medical Cluster. And as Patrick Dümmler pointed out before, all three are complementary. Fasmed is the main lobbying group for industry issues at government level. It participates in EU decision making with respect to the EU healthcare industry regulations, and is a member of the European association Eucomed. Medical Cluster is a network of Swiss manufacturers, suppliers, service providers, and research and development institutions working in the value-added chain of medical technology. Medical Cluster organises events, conferences, forums and services and helps companies and experts to meet and exchange information in order to foster new cooperations. The needs of its members are always at the focus of its activities. The Medical Cluster is not politically active. Medtech Switzerland is a non-profit group focused on the promotion of exports from the medical technology industry in Switzerland to key world markets. As part of its work it looks to build good networks abroad for its members. Within the liquid handling and lab automation sector in Switzerland, which is an important market for manufacturers of pipette tips like Weidmann and RIWISA, a useful industry association is Toolpoint for Lab Science. The group is a vertically integrated cluster, which combines the know-how and ability of the lab automation industry in Europe. The cluster was founded ten years ago by companies of the Greater Zürich area, and combines industry, universities, institutions and partners, which share the same goal of making processes in and around the laboratory more efficient and effective. The Swiss Technology Network (SwissT.net) is an umbrella organisation of technology sub-sectors in Switzerland. IG Exact is a trade association for the Swiss electronics comminity. Swissmem is a members association which unites the mechanical and electrical engineering industries and associated technology-oriented sectors. 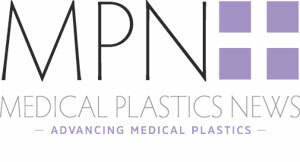 The Swiss plastics association is KVS. The World Medtech Forum was held for the first time in Lucerne in 2012. At the time of going to press the event was taking place for the second time on September 17-19, 2013. Swiss Plastics is a trade show for plastics processors. The next event will be held in Lucerne on January 21-23, 2014. Three noteworthy research institutions are: the Swiss Centre for Electronics and Microtechnology (CSEM—Centre Suisse d'Electronique et de Microtechnique; the Swiss Federal Laboratories for Materials Science and Technology (Empa—Eidgenössische Materialprüfungs- und Forschungsanstalt; and ETH Zürich—(Eidgenössische Technische Hochschule Zürich). CSEM is a Swiss research and development company with expertise in micro and nano technologies, microelectronics, systems engineering and communication technologies. Empa is an interdisciplinary research and services institution for material sciences and technology development. The institution plays a key role in the Swiss educational, research and innovation scene. Its research and development activities are oriented to meeting the requirements of industry and the needs of society. The institution offers its partners solutions tailored to meet their specific needs. This encourages companies to think and act in innovative ways. ETH Zürich is an engineering, science, technology, mathematics and management university in the city of Zürich, Switzerland. In plastics, points of interest are the Plastics Training and Technology Center (KATZ), the Institute of Polymer Engineering IKT, and the Institute of Polymer Nanotechnology INKA. Despite being one of the world’s smaller countries, both in terms of population and land mass, Switzerland is known around the world to have one of the best healthcare sectors. Health insurance is a mandatory requirement for all residents. In return, they enjoy the world’s higest ratio of doctors to patients. 1The Swiss Medical Technology Industry 2012 “In the Wake of the Storm”, Medical Cluster, Medtech Switzerland, IMS Consulting Group and Innovation Promotion Agency CTI. Patrick Blessing, Netstal and KraussMaffei. Tilo Callenbach, Gsell Medical Plastics. Christian Classen, RIWISA. Wolfgang Czizegg, Waldorf Technik. Steve Duckworth, Clariant. Patrick Dümmler, Medtech Switzerland. Christof Plätzer, Phillips-Medisize. Fritz Stein, Weidmann. Erich Tinkler, Cicor.